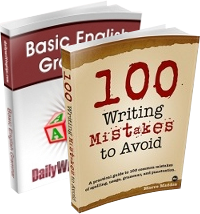 Writers are often challenged by the details of producing singular and possessive forms, but dealing with less common possessive variations can be downright vexing. Here are guidelines about additional possessive constructions. 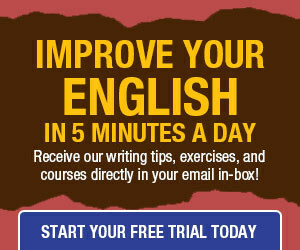 In a sentence in which a gerund (a verb functioning as a noun), not the proper noun or the pronoun preceding it, is understood to be the subject of the sentence — as in “Jane’s yelling had put us all in a bad mood” — the proper noun or pronoun (a modifying part of speech known as a determiner) should be in the possessive form. The sentence is expressing that the yelling caused the bad moods, and the genitive form Jane’s identifies the yeller. Organizations, businesses, and government agencies often refer to themselves attributively, meaning that one noun modifies another — for example, respectively, note the names of the California Teachers Association, the Diners Club, and the Department of Veterans Affairs. The key noun in each name takes the plural s but not the genitive apostrophe, because the entities are intended for the referenced groups rather than established by them. However, similarly constructed generic terms such as “farmers’ market” and “girls’ soccer team” are genitive phrases and should feature an apostrophe after the plural s.
Similarly, a name used as an adjective is attributive, not possessive: Write “the Jones Mansion,” not “the Jones’s Mansion,” as, for example, a designation for a historical landmark (though “the Jones’s mansion” is correct for a simple description of, for example, a neighbor’s house), or “the Vikings game” (but “the Vikings’ win-loss record”). A little clarification, please, on #8. Using the possessive of an inanimate object is, indeed, often more efficient. However, it’s not expressly stated whether it is generally to be avoided. I’ve seen a number of sources that say it’s verboten except for idiomatic uses. In #2- Does she have a single brother-in-law with multiple attitudes, or more than one brother-in-law? Should that be “brother-in-laws’ attitudes”? Mary, I do know the answer to that one. The plural of brother-in-law is brothers-in-law. When the word ends in s what is the best or correct way to make it a possessive? You use Jones’s mansion above. Is that a better choice than using Jones’ mansion? I realize that, Ellie, but the way it’s written in #2 is confusing. I’m not sure if the apostrophe is placed properly, or if that’s a typo? Btw, I laughed at the “Who’s on First” reference in #8. I just saw that bit the other day and it’s still hilarious after all these years. “Her brothers-in-law’s attitudes differed dramatically” is correct; it’s equivalent to ““Her brothers’ attitudes differed dramatically.” “Brothers-in-laws’ attitudes . . .” has a redundant possessive s.
Some traditional guides prefer the “a of the b” construction, rather than “b’s a,” but the latter form is perfectly acceptable in all levels of writing formality. You’re right — I’ve referred to the correct plural possessive form of Jones in at least one previous post, but I made a mistake here. I’ll have it corrected. I am astonished at how frequently I see the word “your” for “you’re”. Something as simple as a contraction has almost completely vanished from the language. People have no idea that they are using the wrong word when they say “Your losing money”, or something of that nature. The nuances of this blog post on possessives is way beyond most people, sadly. Whether to attach a possessive s or use only an apostrophe is one of the great divides of style. Which style you employ is up to you if you self-publish (just be consistent!) or up to your employer or your client if you write for others. So, brothers’-in-law? I’ve never seen that, but it may be correct?? I’ve read your blog on the use of the apostrophe, but still have a question. If the words RV or semi (referring to a semi-truck) are used in the plural form, would they punctuated with ‘s or simply an s, i.e. RVs or RV’s / semis or semi’s? The plural of RV is RVs, and the plural of semi is semis.